Click any for images and further details. Winner of 3 Supreme Championships. 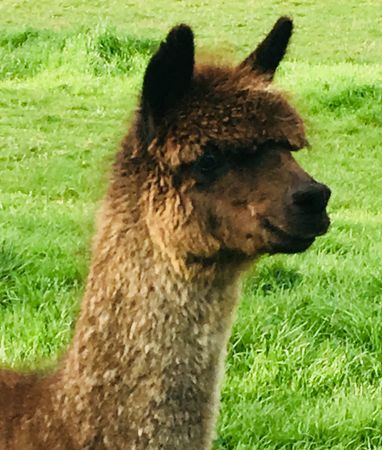 Judges have described Locksley as a complete package - an outstanding true to type suri with a proud presence, brilliant lustre, fineness, a beautiful silky handle and locking that is independent and even, from his head, down his neck and right across his body. Locksley's progeny are doing well in the showring, exhibiting the same brilliant lustre, excellent conformation and beautiful nature. Mobile & multiple matings negotiable. Pioneer is a certified roan stud male who brings the opportunity to introduce new bloodlines to your breeding program. 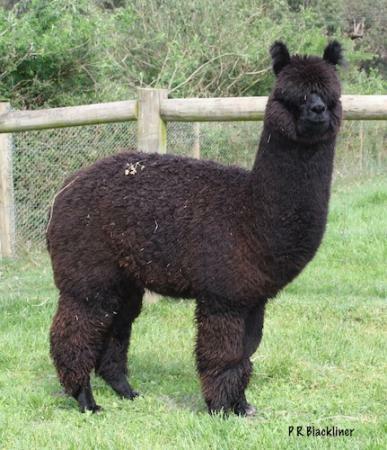 Pioneer has a beautiful friendly temperament, with dense, highly lustrous fleece and well aligned crimp. 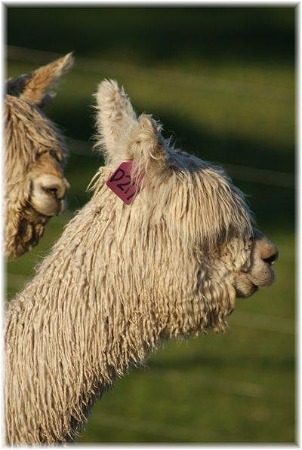 He has many ribbons including a CHAMPION male roan and SUPREME male roan to his show credits. 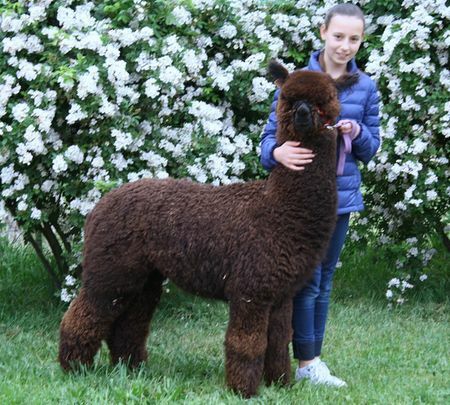 One of his registered cria – Cheverton Weaver has had success placing in shows as an under 12 month and under 2 year old male and has placed and won in the Junior Paraders with a Master Trainer at The Royal Melbourne show as he has a very similar beautiful friendly temperament to Pioneer. 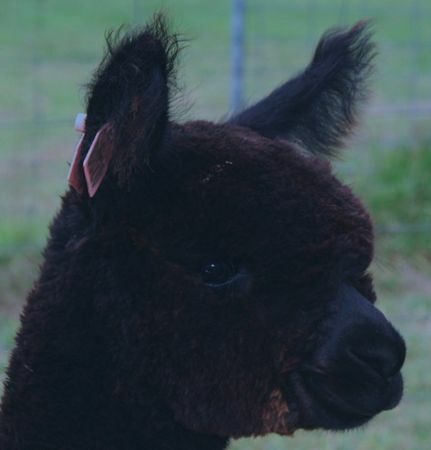 Tytanium in his third fleece. A standout in the paddock, this true to type, compact male carries some outstanding bloodlines including Shillac, through his sire, Tarraganda Lodge Francisco, and Nomad from his dam. 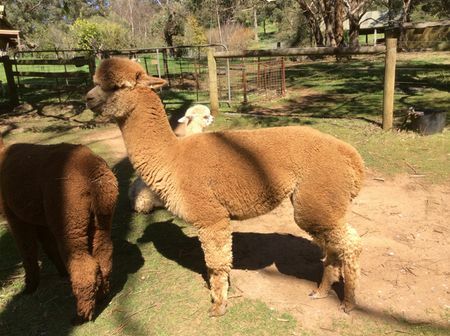 His third fleece remains fine, and displays excellent length, brightness and character. Certified and ready for Spring matings. Black Raider at 21 months. 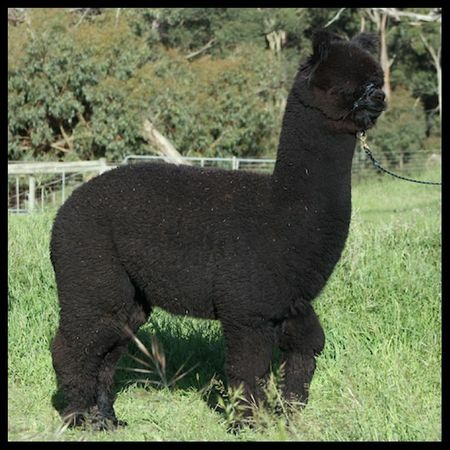 Black Raider brings an opportunity for breeders of blacks, to introduce new bloodlines to their breeding programme. 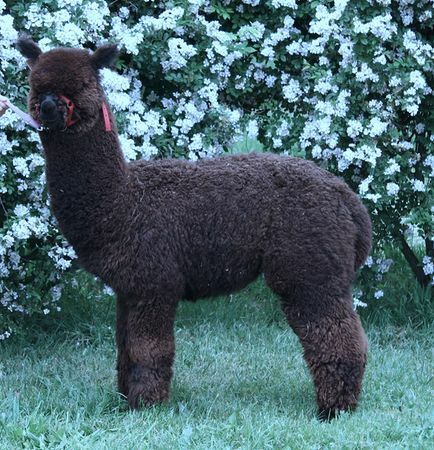 A young male with impeccable temperament and a strong compact frame, Black Raider, carries an abundance of bright, well-nourished, well-structured fleece. 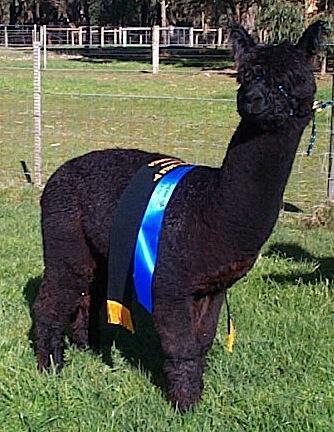 Many ribbons and Best Black on his list of show credits. Blackliner is covered from head to toe over his compact, solid frame. 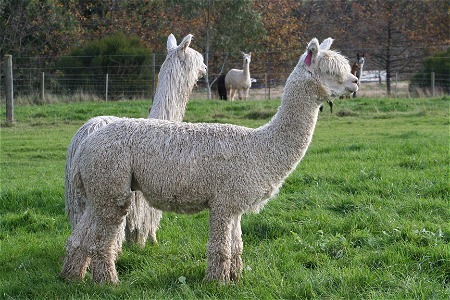 His abundant fleece is long, has a fine crimp and a very silky handle. Lovely temperament. 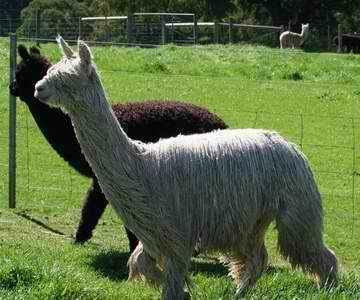 Crias looking good and available for inspection..
Llander in his 2nd Fleece. Llander in second fleece on shearing day. Impeccable temperament, excellent coverage over a compact frame. 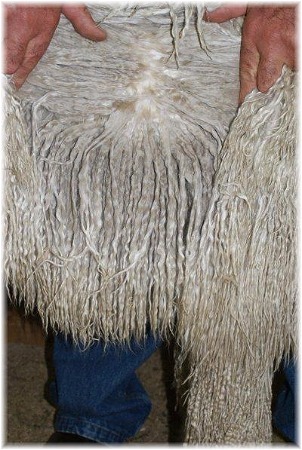 Soft handling fine fleece with even crimp throughout.